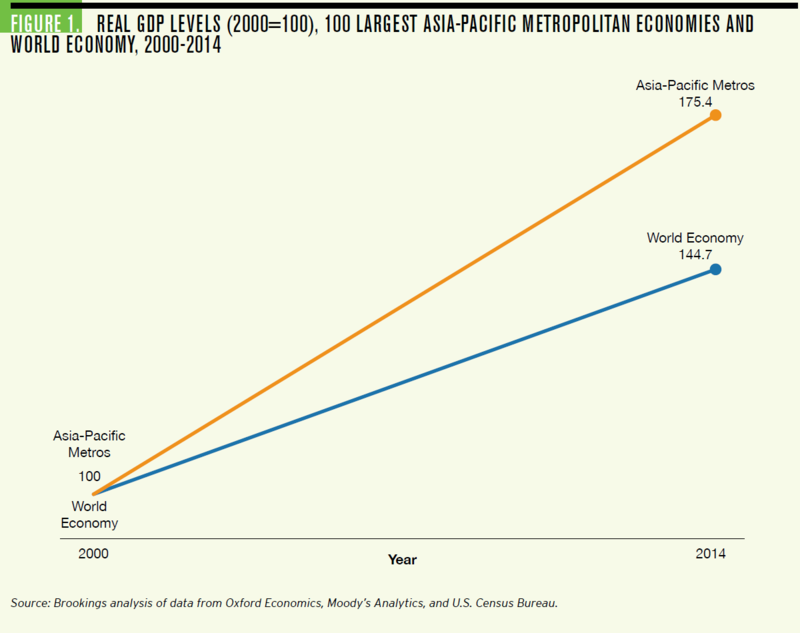 "The Asia-Pacific MetroMonitor reaffirms the shift in global economic growth to the East and South"
That's according to a new analysis by the Brookings Institution, which identified the 100 largest metro economies -- 49 in China, 19 in Japan, South Korea and Taiwan, 12 in North America, seven each in Southeast Asia and Latin America, and six in Australia and New Zealand. 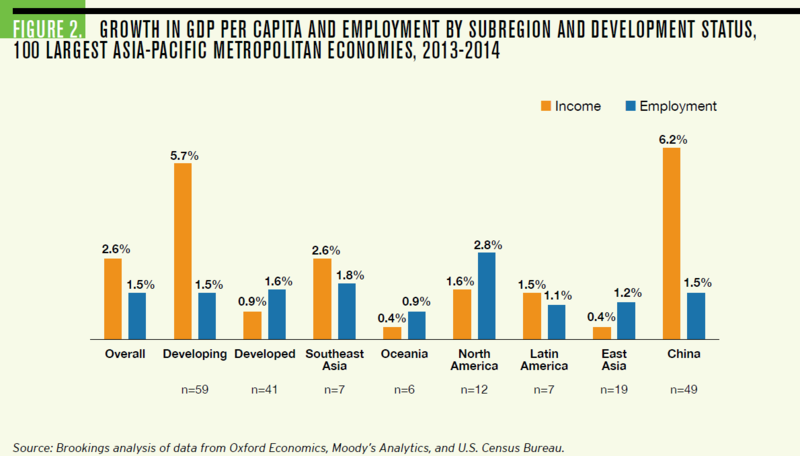 "The Asia-Pacific MetroMonitor reaffirms the shift in global economic growth to the East and South, as Asia continues its path through urbanization and industrialization," the report's authors Joseph Parilla and Jesus Leal Trujillo wrote. "As a result, major metro economies remain the engines of the Asia-Pacific economy and its centers for trade and investment." The numbers tell their own story: The 100 biggest metropolitan economies in the Asia Pacific region together accounted for 20 percent of global GDP and 29 percent of global GDP growth in 2014. If they were a single country, they'd be the largest national economy on earth with $21.9 trillion in output last year. But it's not all about Asia. Cities such as Portland, San Jose, Seattle and others all outpaced national growth averages in 2014. "Cities are where the region’s most significant developments—China’s continued liberalization and economic expansion, the rise of Southeast Asia, and the technology-led growth occurring in North America—all come to ground," the report's authors wrote. "These dynamics—along with the recent push among national governments to cement trans-Pacific ties—offer the potential for a new era of shared growth and prosperity among cities in the Asia-Pacific region."